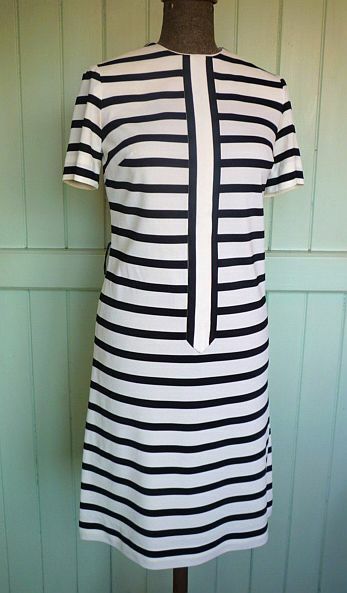 Because I've another load of new frocks to show you! These all went back to Tamborine with Sue today and will be in store tomorrow. 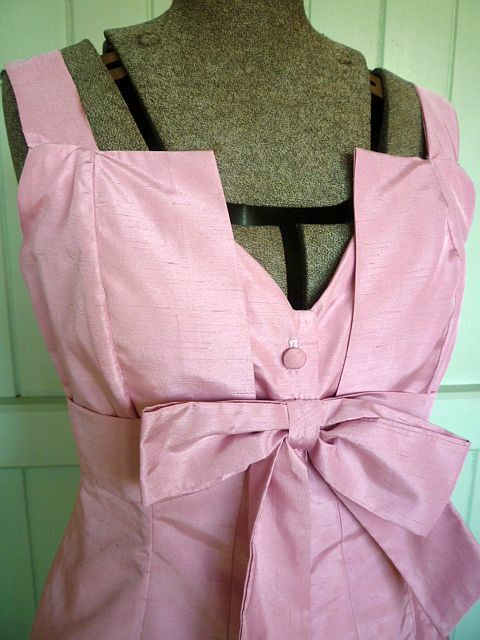 1960s fully lined raw silk cocktail party dress. 1960s fully lined nylon dress, this one has belt loops but personally I'd cut them off and wear it as a shift with contrasting colours underneath. 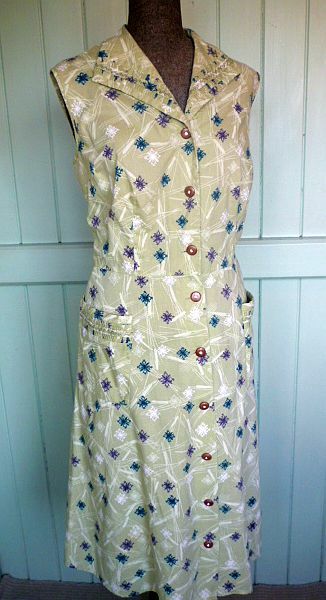 Fabulous 40s/50s atomic print cotton day dress with lovely collar and pocket details, also has rhinestone buttons and is a size 16, yay! Photos don't do this lovely party dress justice, I tell you! I can just see a lovley young girl in this with a fur or bolero and one of our flowers in her hair. 1960s acetate formal or party dress with *full* circle skirt, what you can't see here are the fabulous folds over the bustline and the basque waist...handy if you're on the smaller side as they create the illusion of size! 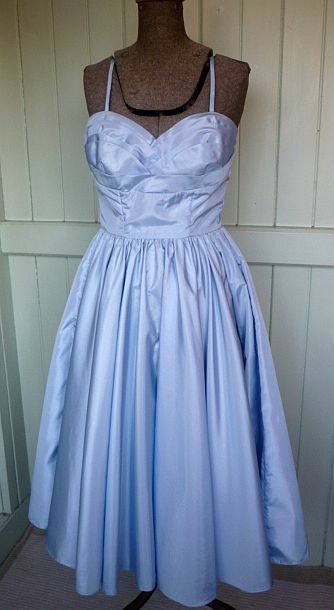 Et la piece de resistance this week... this fabulous 50s soft tulle party dress, a bit small for Astrid so you can see the back sitting out...but I'm sure you'll agree with me, it's to die for! The tulle dress is amazing. It would be perfect for a wedding I'm going to. 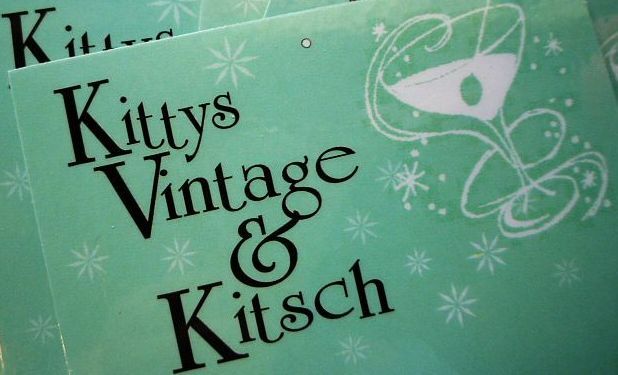 It must be frock heaven in your shop! 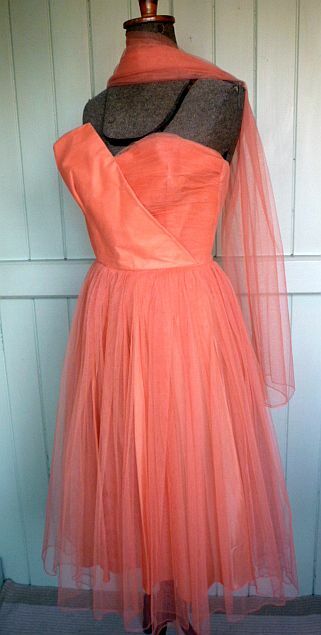 Love that coral tulle stunner. How beautiful. 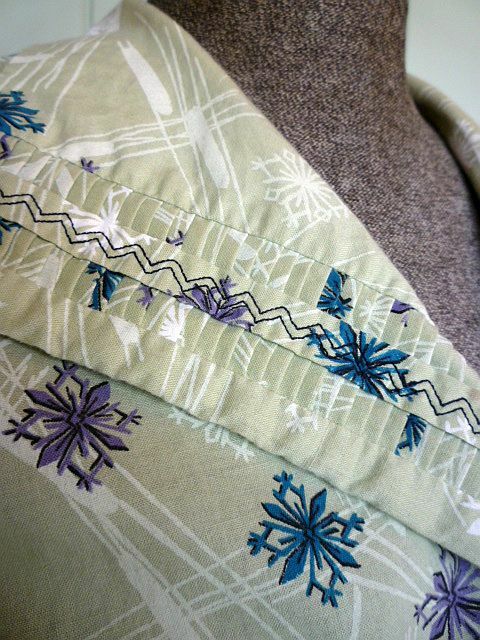 Love the daydress too...look at that detail. Perfect. The pink dress is so awesome it almost makes me want to skip desert. It's the monochrome stripe number for me. 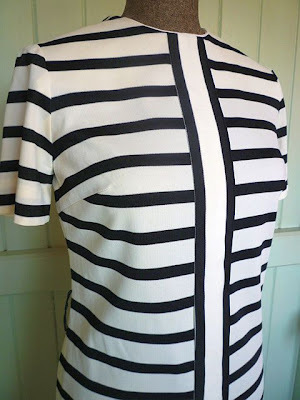 Chop the sleeves, belt loops and a good 6inches off the hem and I'd rock it at my next festie with lime green opaques and my red high heeled wellies. 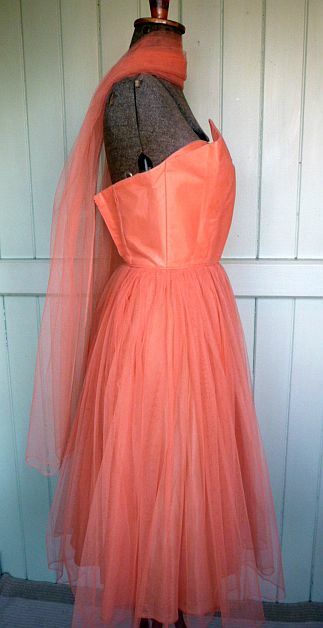 Coral tulle gown is gorgeous, i can see you floating around in it. 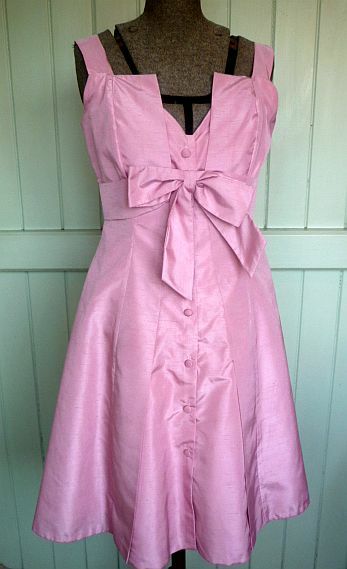 What a marvelous Pink cocktail dress , you always find the best frocks.